NOT just the easy ones! 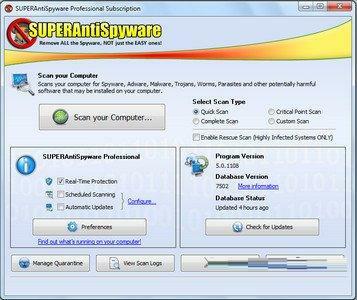 SUPERAntiSpyware features our unique Process Interrogation Technology (PIT) that allows threats to be detected no matter where they are hiding on your system. Many new types of threats utilize "Rootkits" or "Kernel Drivers" to hide themselves to avoid detection by standard anti-spyware applications.